Whether you want to ensure that your retail outlets are easy to find or you would like to make a big splash at trade fairs and exhibitions across New Zealand, our cheap corporate promotional displays and signs will help you to achieve your aims. 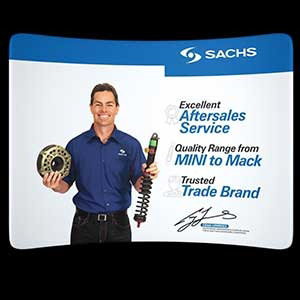 Custom printed with your company name and logo, banners will ensure that your expo stands or shops are highly visible. In the highly competitive markets that most companies have to compete in these days, it is important to make sure that you stand out from the crowd. 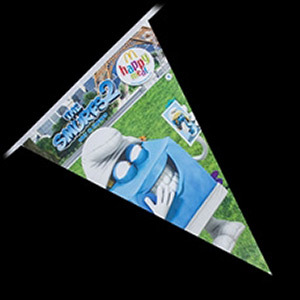 Whether it’s feather flags, event and expo banners, custom wind flags or something else, when you come to us you can rest assured you’ve come to the leading banner printer around. If you want to make sure that visitors to an event or expo make a beeline for your stand, our pop up walls will help you to get noticed. Manufactured to your personal specifications, they are available in any size you desire and can be printed in full colour. This makes them ideal for events where a highly visible presence is required and because they are easy to set up and pack away, you can use them again and again. In addition to full colour images, they can be printed with marketing information that lets potential customers know exactly what you can do for them. A giant ball or airship blowing in the wind, printed with your company name and logo could be just what you need to ensure that passing shoppers notice your store and come in to take a closer look at what you have to offer. The fact that they are so big and move in the breeze will draw attention from far and wide. Reinforced seams ensure that you will not be left feeling deflated after just a few days and each one is carefully designed to meet your exact specifications. If you have a special shape in mind that you would like us to manufacture, please let us know. 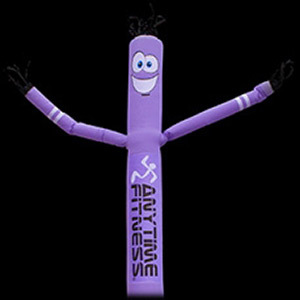 We have a great deal of experience engineering custom inflatable products and will be delighted to provide you with an accurate quotation on request. 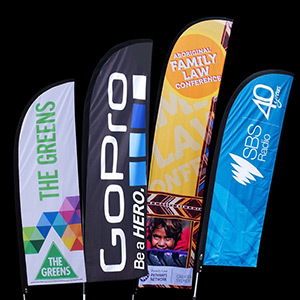 To maximise the impact of your displays, our promotional banners and flags, which can be personalised in any way you like and are available at wholesale prices, can be used in combination with other products in this category such as branded marquees and pop up tents. 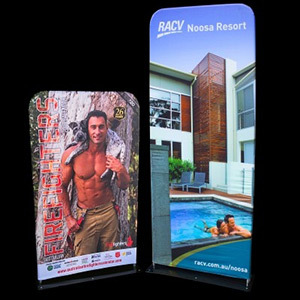 From simple stands that are ideal for local shopping malls to massive displays that will help you to get noticed at the largest indoor and outdoor industry events, we have the products you need to market your organisation to your target audience. All of the items that we produce have been designed to be easy to use. For example, the inflatable signs that we manufacture are supplied with a handy carry kit and air pump so they can be safely transported to any location and inflated within minutes. The tents, wind and feather flags, stands and patio umbrellas we supply can be erected and taken down quickly and easily at an expo or outside your shop, so there is no need to hire outside help whenever you want to move them to a new location. 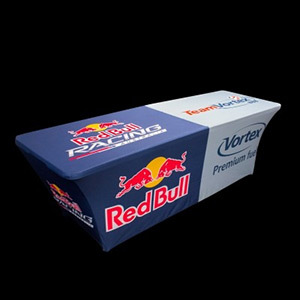 Looking for more information about these or any of the other products we offer such as marquees as well as branded lanyards and more? Speak with our professional printers today on 09 524 0051.